This is a blog of all things Sci-Fi. Please feel free to comment on any and all content. The purpose of this blog is to have a little fun. It is NOT to start arguments. I don't profess to be an expert on Sci-fi, nor do I aspire to become an expert. You are welcome to comment on any and all content you find here. If my opinion differs from yours, as far as I am concerned, it's all okay. I will never say that you are wrong because you disagree with me, and I expect the same from those that comment here. Also, my audience on the blog will include some young people. Please govern your language when posting comments. Posts will hopefully be regular based on the movies I see, the television shows I watch, and the books I read as well as what ever strikes me as noteworthy. Spoilers will appear here and are welcome. We Call It Monster By Lachlan Walter - Another Great Post-Apocalyptic Story From Down Under! Back in June, 2017, I learned about a novel from an Australian author. It was about survival in a post-apocalyptic world where people were working to survive severe drought and food shortages. I was very impressed with that novel titled The Rain Never Came, and its author, Lachlan Walter. 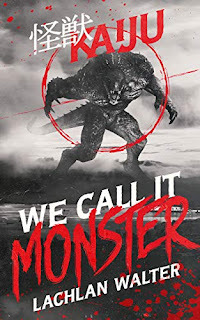 As impressed as I was with that first novel, one can imagine my excitement when Lachlan recently contacted me to read and give an honest review of his new work, We Call It Monster. So, after I agreed, Lachlan sent me a copy and I eagerly opened the file and saw the cover. I have to admit I was a little apprehensive upon seeing the huge Kaiju there, I thought, this is not my usual area and hoped this would not be outside of my comfort zone. I am more of a fan of space opera than anything else and hoped my review could do it justice. I opened the text and began reading and was pleasantly surprised at what I found. What I thought I would find was another "Pacific Rim" rehashing, or perhaps a story such as the Japanese might tell about Godzilla. My guess wasn't even close and I am happy to say I enjoyed We Call It Monster immensely. "One ordinary day, an enormous creature dragged itself out of the ocean and laid waste to a city. In the months and years that followed, more and more creatures appeared, until not a single country remained untouched. At first, people tried to fight them. In the end, all they could do was try and stay alive. We Call It Monster is a story of forces beyond our control, of immense and impossible creatures making plain how small we humans really are. It is the story of our fight for survival and our discovery of that which truly matters: community and compassion, love and family, hope and faith." Monster is a collection of vignettes set in Australia and are further broken down into a series of short stories covering 35 years of attacks from giant monsters that, for whatever reason, are on a rampaging mission of death and destruction. Opening with people attending a party in the coastal city of Sydney, all are baffled as the first attack on the Island Continent takes place. As each small story unfolds, time passes as the reader learns what the fate of humankind and the world might be should such events happen. It seems there is no place on the planet that is safe from the behemoths as they come from the sea. However, it isn't only coastal areas that are at risk as the monsters also come by air and from under the ground. There are no safe havens anywhere from the onslaught. Unlike Pacific Rim, there are no giant human-driven robots to save the day. That's not to say that humanity doesn't mount a monumental effort to repel the threat, but there is nothing that can stand up to what the Kaiju are dealing out. There is no reasoning with them; they are simply killing machines able to withstand a lot of punishment. But Monster isn't about the Kaiju, it is about people and what they do to survive. Each short story serves two purposes; first to introduce or continue a character's storyline in their fight for survival; the second is to give more of an overall picture of the condition of the planet in general, and humanity in particular. The stories are each a snapshot, and when all are put together, form a bigger story. It is somewhat like a photo mosaic made from smaller photos, only with words. The stories in this book are not as much about the monsters as they are about the people who are involved in some way with Kaiju attacks. This is a character-driven collection of short stories that focuses on people as they go about surviving. The characters are the most compelling part of the story. The author does a marvelous job of introducing each character and developing them enough that a reader can have compassion for their plight. The stories are about how the various characters cope with the problems they encounter. Some just went about the business they are tasked with, others are compelled to lend a hand to their fellow humans who have suffered from encounters with Kaiju. Still others resign themselves to the inevitable in bold acts of defiance, in essence, fighting against the monsters in their own way. Some actively fight back as best they can against an enemy with limited vulnerabilities. As I mentioned before, I was a little apprehensive about reading this because I am not a fan of big monsters in literature. I found that from the very first pages of the book, I was hooked. It was truly a pleasure to look into the lives of the very well written characters and I was never disappointed all the way through. I found that Lachlan had led me through the entire spectrum of emotional involvement with his storytelling as well. The descriptions of events were vivid and easily imagined. 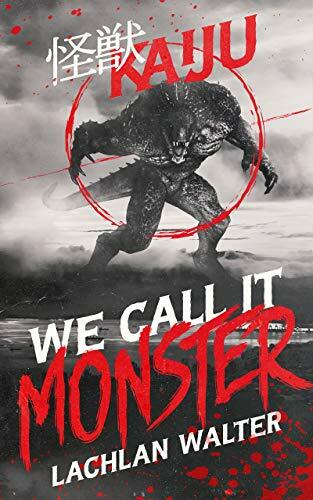 I recommend We Call It Monster to readers that enjoy apocalyptic and post-apocalyptic fiction, and for those that also just enjoy a good story. I would also go as far as to say that one need not be a Science Fiction fan to enjoy this story of human compassion and the will to survive the most impossible threats. Now I eagerly await the next story from this excellent Australian Sci-Fi author. It is a real treat when I can choose and read a book that is not involved with a podcast. 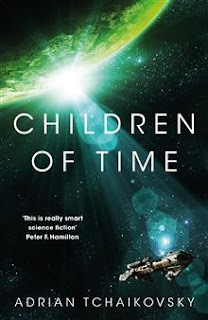 So, being all caught up on "required" reading, I searched Amazon for something I might enjoy and found Children of Time by Adrian Tchaikovski. I must admit that I was intrigued by the author's name since it is the same as one of my favorite composers, and couldn't help but wonder if there is any relationship between the two. Alas, I have since learned that the author's name is actually spelled Czajkowski, a Polish name, and there is no mention of any relation to the famous Russian composer. Never the less, I downloaded the book and began reading. All I can say is WOW! Children of Time takes place in a post-apocalyptic future in which the Earth has become uninhabitable. A very large colony ship is wandering through the stars looking for a place to settle and rebuild humanity on a new planet. Meanwhile, another ship arrives at a terraformed planet, only this ship is the vehicle for an experiment being performd by a scientist that has no interest in helping the human race survive, as a matter of fact, the scientist would just as soon see humanity disappear altogether. This second ship is occupied by monkeys and is supposed to set down on a new planet that has been seeded with a nanovirus that would allow for some rapid evolution by the occupants. Unfortunately, the monkey ship experiences a malfunction and crashes on the planet with all occupants killed. The scientist survives as she escapes in a pod that is designed to keep her in suspended animation until such time she is needed. Meanwhile, the colony ship approaches the planet and is warned off by an automated message stating the planet has not been terraformed for colonization, but for long term scientific research. With a few punctuating shots across the bow of the colony ship, the humans decide to cut their losses and leave to look for another place to settle. as time passes, the humans, being what we are, set up numerous styles of leadership and find themselves immersed in ambitious conflict. The people on the ship as well as the ship itself deteriorates with age and the humans try desperately search for a place to settle. Meanwhile on the experimental planet, spiders, ants, and other insect life flourishes and begins building a world that they can live on. When the humans run out of options, they decide that they are going to take over the spider world no matter what it takes. The spiders make ready to do battle to protect what they have created. What happens when two philosophies of life clash? This story brilliantly spells it out. This story follows the exploits of a ship from Earth whose occupants are seeking a place to settle and found a new civilization on the one hand, and on the other, a world that had been terraformed as an experiment by a scientist. On the planet, the intended occupants were to be monkeys that would be infected by a nanovirus designed to induce accelerated mutations and evolution. So the monkeys would rather quickly evolve to sentience (by quickly I took it that it would be hundreds of years as opposed to thousands or millions of years) and bring forth a new civilization, not human. The intended occupants of the planet never got the chance to make their mark, however other species that were already on the planet did get a chance at taking advantage of the nanovirus and were very successful. Insects became the target of those that would inherit the new Earth, and at the top of the list for those that would lead were spiders. For me, the spiders development was the best part of the story. It was fascinating how they started out with just their basic instincts and moved on from generation to generation developing intelligence and technology that would eventually even allow them to travel in space. Every chapter revealed new abilities and ways of thinking that eventually became a highly evolved, well organized, and intelligent society. It was not without its problems along the way to be certain, but the outcome was likewise fascinating. Then there were the humans. The occupants of the colony ship were all in suspended animation to be awakened if the ship's sensors detected a likely candidate world on which to settle. Unfortunately for them, they stumbled upon the world that was made for the monkeys. In orbit around this world, in a very sophisticated lifepod was the scientist who claimed the spider world for her experiment. When the colony ship arrived there, they were turned away by the scientist, who saw no value in human life and, under no circumstances would allow her experiment to be contaminated by a human presence. Sent away, to another possible candidate world, the humans did what humans normally do. As David Gerrold wrote in his novel, Blood and Fire, when humans move out among the stars, we will take our memes with us. Those memes include some good behaviors as well as many ugly behaviors. Tchaikovski does a great job of illustrating some of the ugliness that might be taken away from our planet; struggles for power, idolatry, and a tendency to make war with one another for numerous reasons. Feeling that it is too far to travel to the other world, they eventually decide that they are going to take the spider world for themselves, no matter the cost. My favorite character is a spider named Portia, well actually there are a lot of characters named Portia. Most of the spider evolution is expressed through this character, passing down her DNA from one generation to the next over thousands of years. Portia starts out as a common spider, working and surviving on instinct. As time moves on, the instincts stay intact, but there is reasoning added making Portia continuously more interesting. Portia and her spider companions develop a social structure allowing each to develop as their individual spices talents allow. Each has their own talents while Portia maintains a benevolent rulership over them all. Portia leads the spiders through an evolutionary process that begins with basic instinct, emotional awareness, the uprising of superstition and development of religion, scientific enlightenment, and finally a spacefaring civilization. It is, in any case, a fine example of world building This was the most compelling part of the book and is what kept me reading. Every other chapter of the book dealt with the human perspective. I found these parts of the book interesting, but not as much as the spider story. It seemed that the humans were never able to get it together because all they wanted to do was take the spider planet over as conquerors. Most of the scenes dealing with the humans were through the eyes of a character who seemed a little cowardly and uninspiring. Unfortunately, as far as I was concerned, the only reason for the human story line was to be bad guys for the spiders to fight off when they arrived to take over the planet. There was a lot of filler in the human story that was unfortunately predictable and uninteresting. But, as I said earlier, the spider story more than made up for the shortcomings in the human chapters. As far as the plot was concerned though, the human story was not a total loss when one considers that while the spiders on the planet evolved, the humans went in the complete opposite direction de-evolving to the point of becoming tribal and falling into idol worship. Finally, there was the scientist that started the whole thing. Dr. Kern was a megalomaniac who saw herself as a god-like individual. Nothing was more important to her than her experiment and there she would allow nothing to get in her way to see it come to fruition. Aboard a ship she was leading to her terraformed planet, she had a large population of monkeys that were to receive the benefit of her creation, the nanovirus. What she didn't count on was a faction of eco-terrorists that were bent on not allowing her to waste a perfectly good planet for the evolution of monkeys. The terrorists destroyed the ship while she escaped in a life-support pod to spend the rest of eternity in orbit around what she dubbed Kern's World. Kern's character soon became uninteresting as she more or less merged with her pod and became confused. I thoroughly enjoyed this book and give it high recommendations in spite of it's few shortcomings. There is a good reason that Children of Time won an Arthur C. Clark award. It is well paced and continually compelled me to read on. Most of the ratings for this were in the 4.3+ approval rating and I would agree, calling it a solid 4 on a scale of 1-5. Back in March of 2017, I posted about a book that grabbed my attention. It was called Solitude, and turned out to be the story of the last man and the last woman left alive on the Earth. Apparently, there was an accident at the CERN collider that caused everyone to disappear. Vaughn managed to rescue Angela from the International Space Station and they began their adventure together on a luxury yacht plying the waters of the Mediterranean Sea. Multitude picks up where the first book in the series leaves off. The book opens with a bit of a disagreement between Vaughn and Angela, the only two humans apparently left alive on Earth. In the previous novel, we left them plying the Mediterranean Sea in a 'borrowed' luxury yacht. Much to their astonishment, objects made of steel are slowly, steadily, and silently flying overhead in a straight line toward the CERN site near Geneva, Switzerland. Vaughn would be very content with just turning the boat around and heading for someplace in the tropics to live out his life with Angela in blissful ignorance. Angela, on the other hand, is determined to learn what has happened and perhaps reverse what has wiped out humanity. After some discussion, they ‘compromise’ and begin making their way to the CERN facility. What they find upon arrival is a completely reworked landscape that baffles them both. Angela's attempt to correct what has happened launches the pair on a journey that is full of danger and disappointment. One of the most amusing aspects of Multitude is the interaction between Vaughn and Angela. These two would seem to be complete opposites. Vaughn is a pilot who comes across to me as a pragmatist who also has a sarcastic streak. He always has some sort of backhanded remark ready for every situation. Angela, on the other hand, is a scientist who tends to get a bit fed up with Vaughn's cynical viewpoint while she is trying to think of ways to fix what has gone wrong. But even thought these two are opposites in their ways of thinking, they do manage to get along. They take turns being in the lead as they encounter the various situations they find themselves in. They have learned they can count on each other when it looks like they are in for certain doom. I like these characters and the author does a good job in developing them to that point that a reader will find that they care about what happens to them. As much as I enjoyed Vaughn and Angela, I enjoyed the story even more. Multitude is an exciting, suspenseful, and often dark story to read. The characters are thrown into numerous situations, and while all of them are pretty grim, a few are downright depressing. One in particular is what the characters have named "Hell." This one in particular is indeed quite hellish in nature where it is even hard for one to breathe. The description of that place is absolutely someplace no one would want to be for any length of time and the pictures I got in my head as I read the passages were breathtaking, but not in a good way. The story unfolds at an amazing speed, but the pacing is appropriate and given enough attention that I had no trouble visualizing what was on the page. I found myself on the edge of my seat the entire time I was reading and when I had to put the book down, I was very eager to get back to it. The theory behind the science in the novel is interesting, but the descriptions of what is happening is just technical enough to be scientific without a lot of overwhelming jargon to bog the story down. I enjoyed Angela's ideas about what has happened to bring the story about and as a layman, found that it not only entertained me, but gave me a few things to think about. As the story came to an end, I was hoping for an idea of why what had transpired in the previous book had happened and who was responsible, but that was not to be. At least not yet! 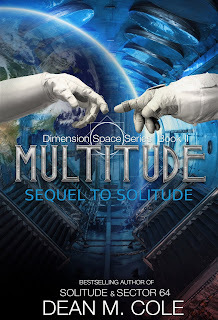 I have also learned that there is a third novel in this series planned and in the works entitled Amplitude. I am looking forward to the continuation of the story! I would recommend Multitude to science fiction fans who enjoy post-apocalyptic and speculative fiction having a dark side involved. But it is not a stand-alone work, I recommend also being sure to read Solitude, the first book in the series. It is also a great story with the origin of how Angela and Vaughn met, it is a most entertaining and unlikely story, but is so plausible that it is a bit scary. To learn more about Dean M. Cole, click here to follow the link to his website and consider signing up for his newsletter. 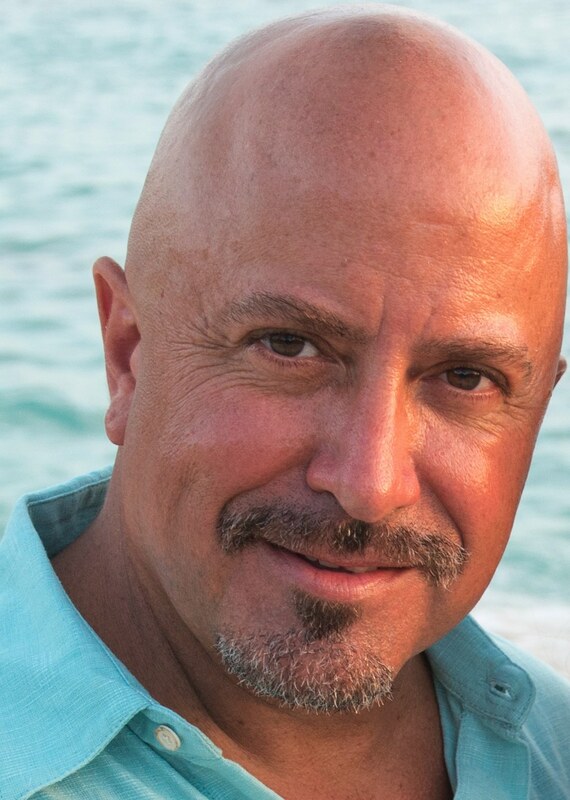 Over the years, I have read numerous stories about aliens among us, watched numerous television shows, and listened to Coast to Coast AM hosted by Art Bell and, more recently, George Noory. I guess what I am trying to say is there is no shortage of speculation on alien life on Earth and conspiracies surrounding it. For me, it is all in good fun and is amusing to think about. Usually, I find movies and television shows on this subject somewhat hokey and quite unbelievable. If I am to be entertained by alien conspiracy stories, I am more likely to enjoy a good book that allows me to create my own visualizations as I read. Not long ago, I received an email from author Stan Schatt in which he let me know that he had released a new book, Alien Blood. I have enjoyed Stan's work in the past and knew that I would most likely enjoy this latest release from one of my favorite indie authors. The story opens with a scene in the White House with a new president being briefed on alien activity in the US. This is the first time the freshly elected leader of the free world has heard anything about such matters. He speculates on how it is no wonder that presidents leave office looking much older than they entered it. It seems that a treaty between two species of aliens, the Greys and the Draconians, and the US is about to expire and negotiations for a new treaty are not looking promising. Along with that, the new president is told many horrible things that took place during the past decades since the presidency of Harry Truman, and in order to save the country, not to mention the world, a new treaty with the aliens must be hammered out. The story then switches over to former Navy SEAL Ben Swift. When his sister, Heather is kidnapped by some government thugs, he gathers a team of his former SEAL brothers to rescue her from what he learns is actually an alien group that wants to use her DNA for experimentation. Along with the other former seals. he is accompanied by a woman who is apparently a former foreign special ops agent named Sherry. Ben will stop at nothing to get his sister back. Along the way, he learns about several conspiracies leading him in a chase across the country, not to mention a trip to a secret base on Mars via a reverse engineered flying saucer! As mentioned, Former Navy SEAL Ben Swift is retired and working for a tabloid paper one might would find in the grocery store near the checkout stands. He takes calls from the public and follows up on anything that might seem plausible, but usually finds most of the calls are from crackpots and lonely people who dream up scenarios from bits of information they obtain from others. But when Heather disappears, he goes into full SEAL mode and it doesn't matter if it is his own government he has sworn to protect and defend, he is going to get Heather back. While Ben goes about the business of the rescue and its aftermath, the author craftily moves among numerous alien related conspiracy theories including a secret military base on Mars, a crashed alien ship on the moon complete with alien bodies recovered by secret Apollo moon missions, various types of aliens performing various types of experimentation with the blessing of the US government, and more. Schaat speculates (at least I am hoping it is only speculation) on numerous theories in his story that moves at a very fast pace. This is the second book set in this universe Stan has created in which he explores conspiracies and lore surrounding alien life. Most assuredly, it is some fun speculative science fiction that, at the same time could give one a few things to think about. The pacing of the story is extremely fast, never letting up for a second. I was engaged from the opening line to the very end of the book which I read very quickly because I just had to see what happened on the next page. The language is plain talk with very little jargon to wade through making it easy to understand and follow. I especially enjoyed how the author went about showing the story instead of simply telling it. His descriptions of people, places, and things got to the point rapidly, but in such a way that it helped the flow of the book. While I in no way think that the Earth has been visited by aliens (and I do not intend to present my reasons here), The story is written well enough to make it seem quite plausible. I think that is one of the main reasons I enjoyed this story so much. With any certainty we humans have, there is always a shadow of a doubt that perhaps the other side of the story may have a ring of truth to it. 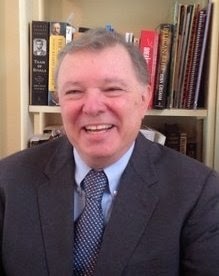 Stan's characters could be people that we know, the places may exist as he describes them, and the situations may also be things that could happen in the real world. This is where Stan Schaat shows himself to be a master at inserting his ideas into that door where the shadow of a doubt exists and little by little, pushing the gap in the door just a little wider. Alien Blood is the second installment in a set of two stories in which Stan presents his speculations. The first, Alien Love, has many parallel themes and elements, but is not part of what I would consider a series. Both of these stories are stand alone with a definite ending, but they both make me want to read more. I have to say that I was very surprised by the plot twist at the end of Alien Blood. I certainly didn't see it coming, but found it to be another interesting and satisfying aspect to these books. As always, with Stan's stories, there are many references to popular culture that many of us commonly know, but especially numerous references to Star Trek, which only serves to add to the fun. I contacted Stan via the internet to ask a question and he intimated to me to watch for another Alien book that he recently finished. Yes indeed, I am looking forward to that! 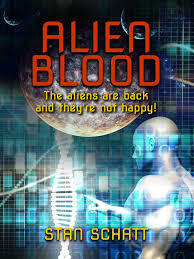 I recommend Alien Blood as a fun story that will take a reader on a fast paced ride through a world filled with intrigue, conspiracy, and aliens who all seem to have an agenda for the people of the planet Earth, but at this point is only really known to them. "Futurist, technologist, novelist, and a person curious about many things. The roll call of jobs I’ve held over the years includes but is not limited to autopsy assistant, police department administrator, salesman, sales manager, literature professor, telecommunications professor, and technology analyst, and research director. 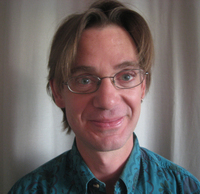 I’m a full-time writer now and live in Carlsbad, California with my wife, Jane. My plate’s pretty full right now with writing projects. I’m writing primarily mysteries at the moment when it comes to fiction and non-fiction books on careers and retirement. I have always loved technology and politics almost as much as writing." You can find a more complete list of both his fiction and non-fiction work on his website, and there is a short list of his works at Amazon.com. Not long ago, I received an email from author Stan Schatt about the release of a new novel entitled Alien Blood. I have enjoyed Stan's work in the past and eagerly headed to the Amazon website and downloaded a copy to read over the long Thanksgiving holiday weekend. At the same time, I found that I had missed one of the author's earlier releases entitled Alien Love. That one appeared to be a prequel to the novel Stan was alerting me to, so I also got that one. Here are my thoughts on Alien Love by Stan Schatt. It would appear that our planet is crawling with Aliens that most of us know nothing about. They all seem to have their agendas and even use our planet as a battleground to try to solve their problems. When a dying astronaut brings this information to light, it promises to create quite a stir on the planet and something must be done before there is massive trouble for the indigenous inhabitants of Earth. Enter former Navy SEAL, Jack Starling who is having a rough time after mustering out of the Navy. He lives alone and is having trouble finding a job not to mention suffering from a mild form of PTSD. When he witnesses a beautiful woman being abducted on a San Diego street, his training kicks in and he intervenes, saving the woman. Later, she appears at his apartment and wishes to show Jack her gratitude by taking him to bed. Jack is a little surprised at first, but goes along with the scenario. He falls hard for the woman, but there is something not quite right about her. At first he thinks she is crazy, but later learns that there is more to her than meets the eye. Jack finds himself caught up in a roller coaster ride of twists and turns that move at breakneck speed leading to the revealing of a treaty signed with an alien race by a former president of the U.S. The story follows the exploits of Former SEAL Jack Starling who seems to be a pretty likable guy who is down on his luck. He a big man, but while he is described as a good looking man, he is also a bit scary. He really wants to just find a job and go on with his life. He is in therapy to help him cope with his PTSD and takes medicine. He wants to keep in contact with his former SEAL brothers but is forbidden to do so by his therapist. So, as he is somewhat estranged from his family, he is pretty much alone.. When Jack finally finds his chance for some companionship, it takes some strange turns. He learns things about what is happening in his world, and about himself that brings him into contact with many other characters that are as colorful and interesting as he is. There was just enough character development in the story to make Jack seem like a real person to me, and to care about what happened to him. While Jack was the main character, I found that I wanted to know more about the aliens. The reader is introduced to the aliens in the story with the introduction of Jack's love interest, Cassandra. When she is introduced, there is something that seems off about her. After making love with Jack for the first time, she starts talking about pregnancy and basically freaks Jack out. He is not sure he wants to pursue a relationship with her, but after a time, he finds her irresistible and goes along with it, eventually falling in love. After a time, Cassandra is revealed to be a member of an alien race that is in danger of becoming extinct. Cassandra seems to be seeking help from Jack for some unknown reason, that is until we learn an interesting fact about Jack. I would call Alien Love a low-tech, conspiratorial, aliens among us, sci-fi novel that is very much in the vein of an X-Files type story. It was quite entertaining and a lot of fun to read. It is fast paced and well written and I read it quickly. While the story follows logically, there are numerous plot twists that provided surprise and intrigue. Even though it was not a huge part of the story, I enjoyed the conspiratorial aspects of the plot that involved the government knowing and being okay with some of the aliens begin on the planet. The astronaut in the beginning of the story had me curious and I was hoping for more on that, which did come as the story developed. I feel like somewhat of a kindred spirit to the author because he is a fan of Star Trek, to which he makes numerous references. I was also amused that some of the aliens in the story were also mild Trekkies. They appear to be so because they wanted to know more about human culture. While the story is quite serious, there were places where one could see aspects of Stan's sense of humor rise to the surface. There are a few moments that I had to laugh as those undertones revealed themselves. I recommend Alien Love as a fun read, full of twists and turns, and a lot of action as well as interaction between characters. I found myself eager to read on when I had to put it down and while reading, I was engaged and entertained. I am looking forward to reading Aline Blood right after I finish writing this to learn more about the aliens and their various agendas during their interactions with humanity, both noble and nefarious. check twitter for notifications of updates to this blog. Learn from the past--don't wear it like a yoke around your neck. Never underestimate the power of the human mind to believe what it wants to believe, no matter the conflicting evidence. 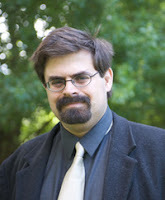 David J. Pedersen - Got Angst?